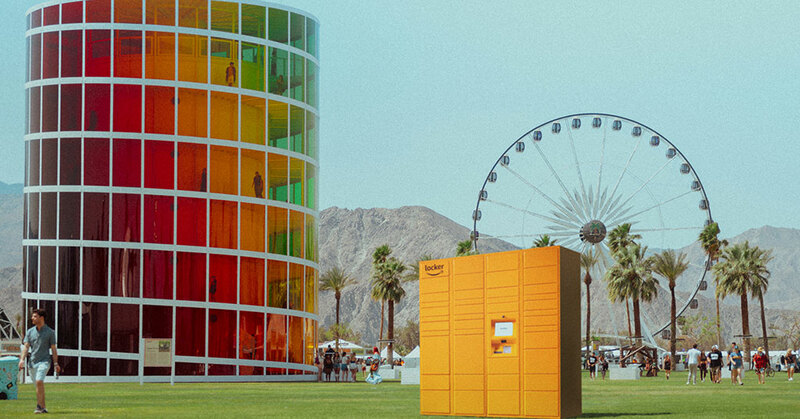 Amazon announced that, for the first time ever, Amazon Lockers will be available as a delivery option for the Coachella Valley Music and Arts Festival. Customers will have the ability to ship everything they need directly to an Amazon Locker at no additional cost during both festival weekends – April 12-14 and April 19-21. During checkout, customers will select one of the Amazon Lockers at Coachella as their shipping address. Once their package is ready for pickup, customers will receive an e-mail along with a barcode that they’ll use to pick up their package. Amazon Lockers will have a designated space within the festival gates and Amazon team members will be onsite to answer questions from customers picking up their package. Amazon will introduce a curated Amazon.com storefront to help customers shop for items they need and discover other festival-inspired products. It will feature a selection of essentials from categories including fashion & accessories, beauty, health & wellness, tech, and camping. The storefront will open in the weeks leading up to the festival.